Xore, a Swedish company specializing in on-line analyzers for the mining industry, announces a new, double, application for its Boxray Compact XRF analyzer. ”Our on-stream analyzers are very versatile to begin with, but this is taking it to another level”, says Mikael Normark, CEO of Xore. “By just adapting the sampling system we will be able to analyze both slurry and leaching solution in the same unit”. 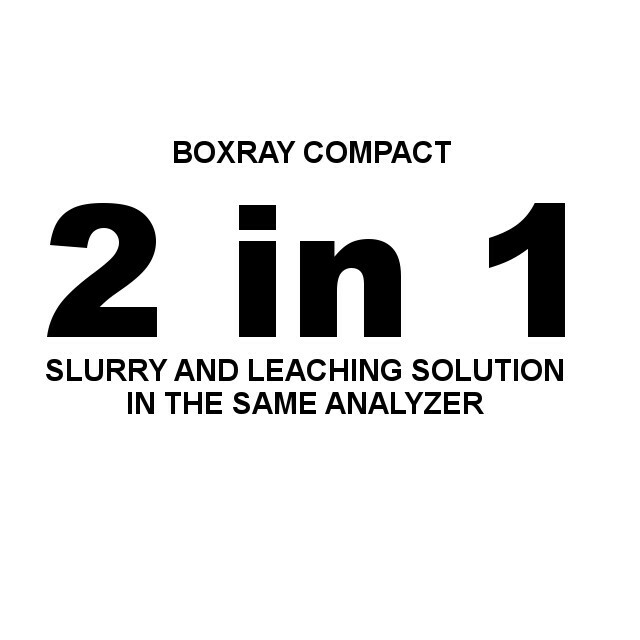 The Boxray Compact analyzer is intended for use in leaching plants. It will analyze metal content in up to eight slurry samples and eight samples from the leaching tanks. As the analyzer has two measurement cells it is possible to use it in this completely new way. Pumps will transport slurry samples from the milling circuit to slurry secondary sampling tanks. A newly developed pump and valve system will transport leaching solution samples to the analyzer. Xore provides an analysis solution that is versatile and cost effective by using one instrument for two purposes. Instead of investing in several, and different, instruments one Boxray Compact can replace them. This reduces the service and maintenance needs and creates a single point of contact to the supplier. It also focuses the knowlegde of the operators to one instrument, making it easier to share and maintain knowledge. Xore develops and sells on-stream analyzers for the mining industry. The Boxray™ analyzers provide fast and accurate measurements on metal content in e.g. slurry, leaching solutions, electrolyte and process water. Find more info about the Boxray Compact XRF Analyzer here. This entry was posted in Boxray Compact, News. Bookmark the permalink.